David Al-Adra, MD, and Joshua Mezrich, MD, were awarded Hope Meets Gratitude research grants last week. Funds for these grants were raised during the Transplant Program’s 50th anniversary celebration by patients, families, and other donors. 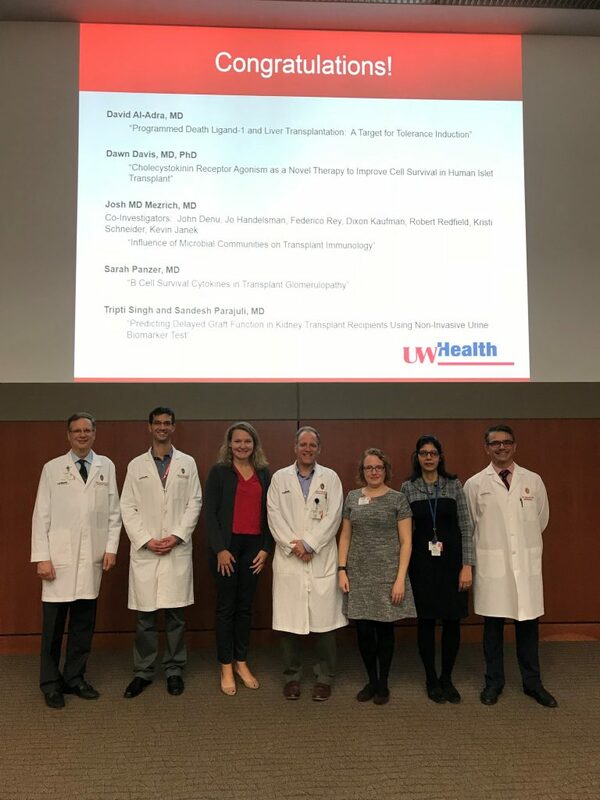 Dr. Mezrich’s project is titled “Influence of Microbial Communities on Transplant Immunology,” and will be supported by Department co-investigators Dixon Kaufman, MD, PhD, Kevin Janek, MD, Robert Redfield, MD, and Kristi Schneider, RN, MSN, ANP.